It’s that time a year again; scrapping fair and the start of this years Christmas card production. The card production started about a month ago. 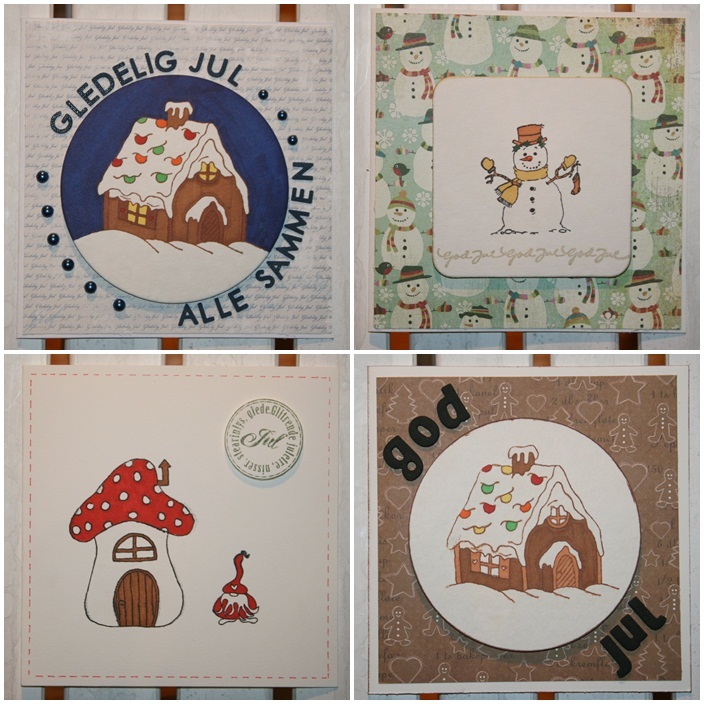 I made five cards, where I used the pattern paper, rubber stamps etc I already had. It was fun to start again and go over all my stuff. There were a lot of familiar stuff, but also some stuff I had forgotten I had. Going through my things, I found out that there were a few things I needed more of, like pattern paper, foam letters and some accesories. With a fair coming up I knew I had a chance to get some shopping done. I could of course not be sure to get all I wanted because previous fairs has shown lack of Christmas things, especially pattern paper. Yesterday I went to the fair with my colleague Sigrund. We where there when they opened, because it’s important to be there early. There is less people and there is less chance to miss a good bargin / things are sold out. The picture above shows all the things I bought. I got a whole lot of foam letters which I are in love with! They are so easy to use and they enhance a card enormously. I also got a lot of paper, both single color paper and pattern paper. This year I felt they had quite some nice Christmas pattern paper. New this year, was two Swedish companies. Both Stampelkallen and Bildmålarna came and I was curious on what they would have to offer. I’ve been busy, so I hadn’t time to check them out before the fair. It didn’t matter, because they became a pleasent surprise. I loved them both and I’m pretty sure I will stop by their online shops to buy some more stuff in the future. After I came home on saturday, I’ve been making Christmas cards. It’s important to start early when you got orders. 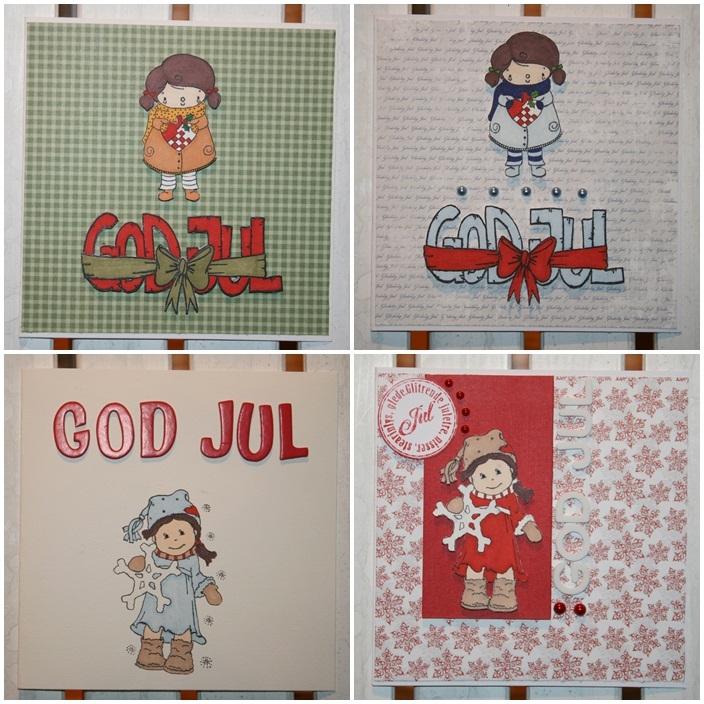 This year, I so far have one order of 20 cards from mum and one order of 5 cards from my friend Linda. And I would need about 10 cards myself. Depends on how fast I work, I might take some more orders if someone is interested. I’ve almost only used my new stuff on these cards. The round and square cardboard are plain coasters. I think they were meant to be used as that, but when I saw them I instantly thought I could use them this way. I’ve very happy with the way they turned out. I wish I had more of those coasters. Too bad I don’t remember which store who had them. If I work in this speed, the cards will be finished in no time. But I doubt it. It takes time to make a card and I might not have a whole sunday to make cards. Well, we will see how it goes. I’m excited to continue with making the cards at least. Getting new stuff, always gives me a push; it makes me motivated and sparks my creativity. 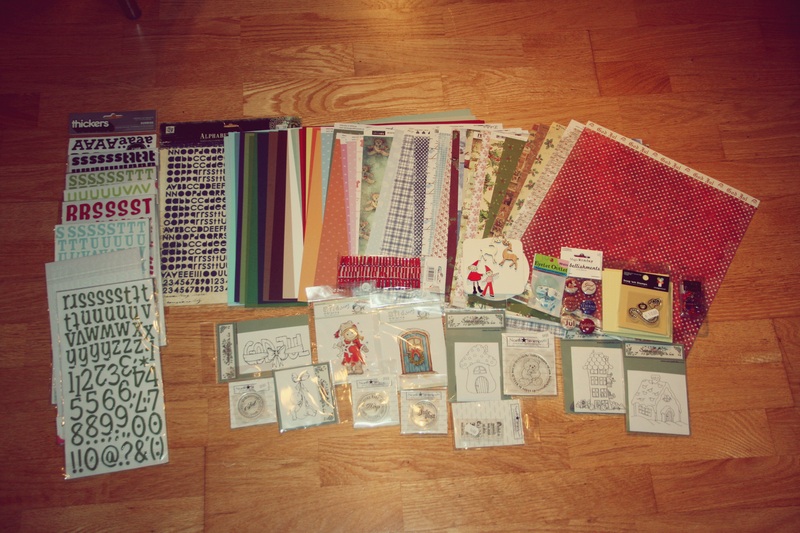 Now I got so many rubber stamps, it’s a bit hard to find what to use. There are so many nice ones, it gets hard to decide. Stay tuned for more cards!